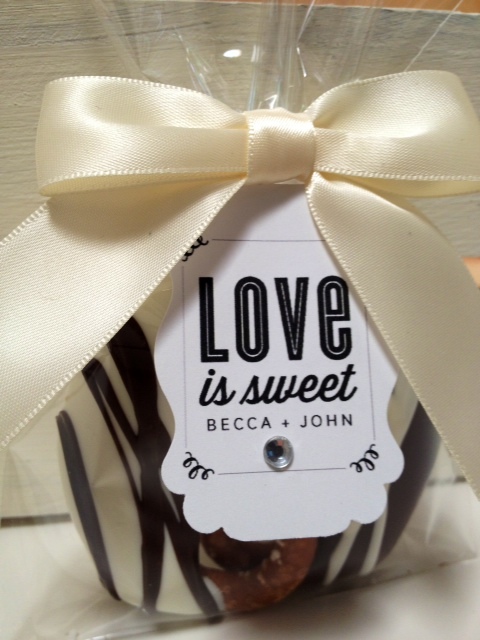 Our Chocolate Caramel Pretzels are a huge hit at any event. Fresh sourdough pretzels dipped in our hand-crafted caramel, dipped again in Guittard Chocolate and finished off with a beautiful drizzle. Comes 2 in a bag with satin bow and thank you tags. Custom tags are an additional .25 each. 24 Order Minimum. 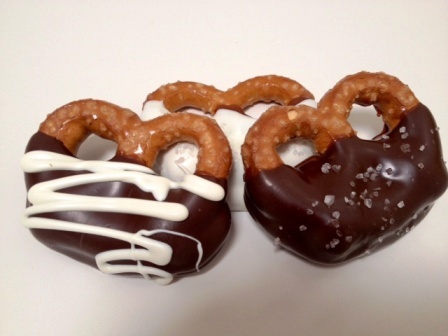 Just wanted to say i recieved the two pack pretzel as a favor at a wedding and i was not going to eat it ..thinking it was just another chocolate pretzel well i do have to say THE BEST EVER...and the White Chocolate was just as good.